Are you going to attend a cocktail party, a wedding, a prom or other occasions that require you to dress formal gown? Are you looking for a suitable formal dress? Every girl should know what kind of formal dresses is the best for her. One day you will get a chance to such a formal occasion, so now you should make sure you know how to choose a right dress that makes you look beautiful and feel confident. That is the goal we want to help you achieve. Every girl has her advantages and shortcomings. A suitable formal dress is the one that can magnify the strong points and conceal the weak points. Do you know your advantages and shortcomings? You should know your body type and we provide dress tips for each body shape. Pear-shaped girl’s hip measurements are greater than their bust measurements. The advantage of this type of body is a proportionately nice waist, which should be the best asset to show off. This kind of girl usually distributes the fat in the lower part of the body below the waist. The key to dressing a pear body shape is to emphasize the slender waist and hide the hip shape, so the top of the dress should be fitted and the part below waist should be loose. For example, a gown dress with big skirt or multi-large skirt can perfectly hide the hip and meanwhile highlight waist. Besides, choosing a backless formal dress is also a good way to distract others’ attention. 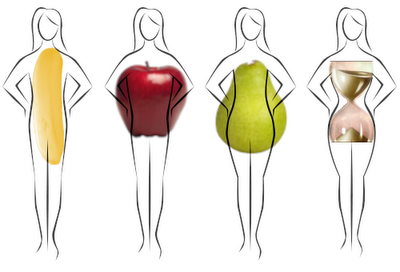 Apple-shaped girls have broader shoulders and bust, and narrower hips. This kind of girls has a beautifully defined waist and bust that is larger than the hip, which makes the upper body proportionate in length to the shapely legs. Apple-shaped girls should choose high waist dresses. The design can hide the waist and make the legs longer. If an apple-shaped girl has slender legs, it is highly recommend her to wear short formal dress. The slender legs will get all attention. This kind of body shape is the most common in America. Banana-shaped girls’ hips and bust are balanced while the waist is not very obvious. This kind of girls gains weight in main body first and then upper thighs and arms, so lower legs may be the best assets to show off. 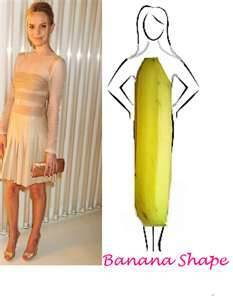 Banana-shaped girls should find a dress that can put more weight on the top and bottom of the body and meanwhile make the waist more defined. Gowns with pleated cloth near the bust or a bow right above the bust can make the bust larger in appearance. Once proper volume is added to the upper and lower body, the waist will become obvious. Adding a wide dark belt can also create charming curve. Do you know more about choosing the perfect gown dress now? Go to find one now. This entry was posted in Formal Dresses Australia on January 8, 2013 by persunau.